If you're anything like most people, you go through your closets or attic a few times a year and find items to put in a "yard sale" pile, or items to donate to a friend's, church or community yard sale. But let's face it, the preparation that goes into one of these sales can be overwhelming, and the money you make might not be worth the effort. What other options do you have? Charlotte has plenty of local charities that will gladly accept donations of household goods. Everyone knows about the Goodwill organization. In Charlotte, it's probably the most accessible for an easy donation of household items. Goodwill Industries of Southern Piedmont began providing services to people in this region in 1965. The Southern Piedmont territory includes 13 counties in North Carolina and five counties in South Carolina. Locally, Goodwill has a retail store or provides services in seven of these 18 counties: Mecklenburg, Gaston, Union, Lincoln, Cleveland, York, and Lancaster. With twelve retail stores in the immediate Charlotte area, Goodwill also provides seven staffed drop-off locations and provides pick-up service to homes donating at least six large furniture items. The Salvation Army operates several retail thrift stores in the Charlotte area that all accept donations during specified times. The Salvation Army also provides a shelter called Center of Hope and donations are always being accepted for diapers, feminine products, toiletries (soap, deodorant, shampoo, conditioner, toothpaste, toothbrushes), towels and washcloths and pillows. Amped 4-A-Cure is a newer charity in the area, but they're already making big strides. Their goal is to raise money for cancer research, early detection, and prevention through the universal language of music. Any monetary donations received are split evenly between Charlotte-area hospitals and national cancer initiatives. They donate music/mp3 players to the children's hospitals through Best Buy for the kids that are going through treatment so they can listen to soothing music to help them through the rigorous, sometimes uncomfortable, treatments. The Free Store offers free items and services to those members of the community desperately in need. No forms or qualification documents are necessary. They accept clothing, tents, sleeping bags, furniture, and any general household items. They are then shelved in the store for immediate distribution to members of the community that visits the store. The National Kidney Foundation will pick up any household and clothing items for resale at Carolina Value Village where 100 percent of the proceeds benefit the National Kidney Foundation of North Carolina by funding important programs. Charlotte's Crisis Assistance Ministry operates a Free Store that provides donated clothing and household items at no charge to families in need, such as clothing for men, women, and children, household items such as blankets, kitchenware, and personal care products. Items also needed are furniture and appliances that are in a good working condition such as stoves, refrigerators, microwaves, mattresses, kitchen tables, sofas, and chairs. Charlotte's Catholic Social Services provides the community with many services including refugee resettlement, immigration services, pregnancy support and more. In particular, the refugee resettlement department accepts donations in the form of household items and furniture. Dress for Success is an organization that allows women to interview for jobs and enter the workforce dressed in appropriate attire. 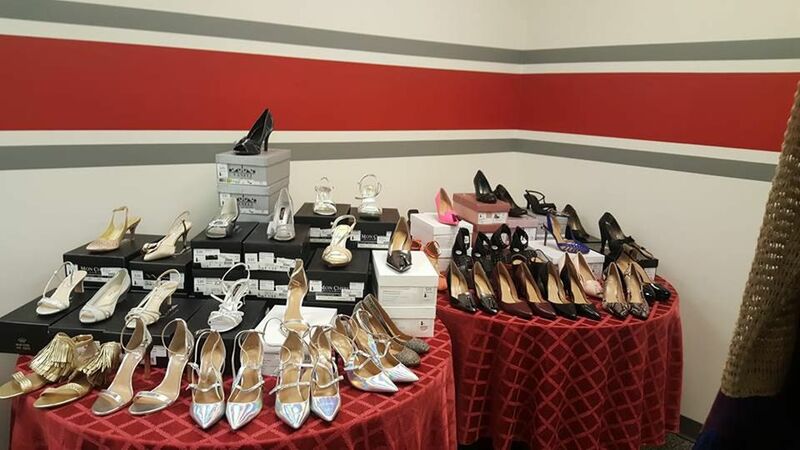 Right now they are accepting business attire (suits and blouses) in sizes 0-4 and sizes 24 and larger suits and blouses, maternity business attire, accessories and scarves, shoes, especially in larger sizes, knee-high's and pantyhose of all sizes in unopened packages and purses in conservative colors. There are two Habitat for Humanity ReStores in Charlotte that both accept donations of new and gently used items from individuals and businesses in the community, and sell those items to the public at a reduced cost, usually 50-70 percent of the original retail value with all proceeds going toward building Habitat homes with the local Habitat affiliate. Both stores accept items and materials used in home building such as furniture, appliances, building materials, flooring, doors, cabinets, hardware, plumbing supplies, and windows. Charlotte Rescue Mission (CRM) provides residential programs for homeless, jobless men and women with alcohol and drug addiction issues. Clients typically have few options available to them because they have no health coverage to help them enter a recovery program to realize a new life of sobriety. The professional recovery programs and additional services Charlotte Rescue Mission offers to support these individuals are provided to them at no cost. Men's and women's clothing is almost always in need. Carolina Refugee Resettlement Agency provides much-needed services to refugees and plays a vital role in resettlement in the Charlotte area. They're always in need of furniture and beds because they furnish apartments for refugee clients. It is their mission to help the refugees become financially secure and contributing members of American society. Proceeds from the Thrift Shop help fund Assistance League of Charlotte philanthropic programs. Bargains abound in gently used items such as furniture, clothing, books, toys, jewelry, household items, electronics, computers, shoes, sports equipment, and baby items. Assistance League members staff the store and help provide an enjoyable shopping experience for each customer. Their programs supply school uniforms and winter coats to children in need, supplement nutrition by providing snacks to schools and provide scholarships to accomplished high school seniors and college students. In addition, they run the Mecklenburg County Teen Court which gives teens a second chance by allowing them to avoid a misdemeanor record on the first offense if they plead guilty and complete community service.